Colorful room dividers add dimension and flexibility to your space while providing division wherever needed. Attached to each divider panel are a set of self-leveling caster wheels that roll over most surfaces with ease. 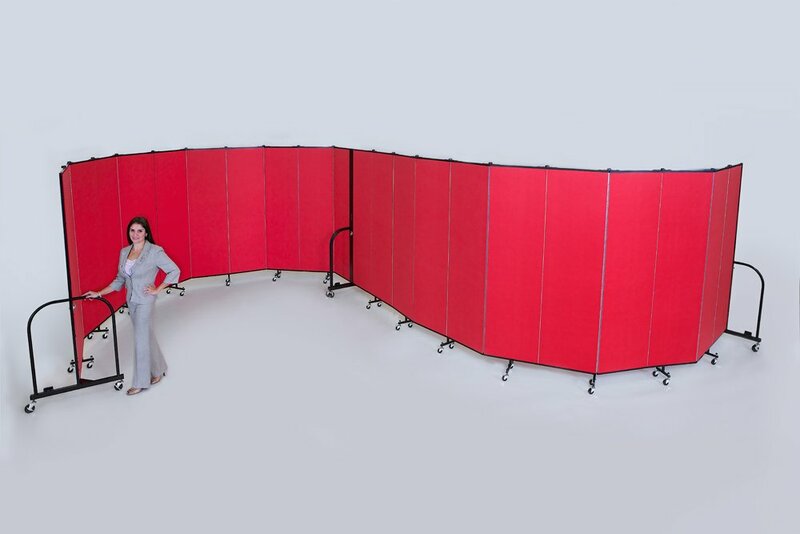 Sturdy, durable and long-lasting, Screenflex portable walls are available in 36 heights and lengths and 38 fabric choices. Call today at 800-553-0110, by email at [email protected], on or Live Chat for a quote or to get a list of customers in your area.